CINCINNATI -- In 2017, we broke the record for highest body count after a mass shooting -- twice. In Cincinnati and beyond, opioid addiction -- now a national emergency -- ripped mothers, fathers and children from families. Recognizing good news is not in vain; it's crucial to preserve our hope in a better tomorrow. Here are 9 of the happiest local stories of 2017, in no particular order. Hopefully they'll help you look forward to 2018. 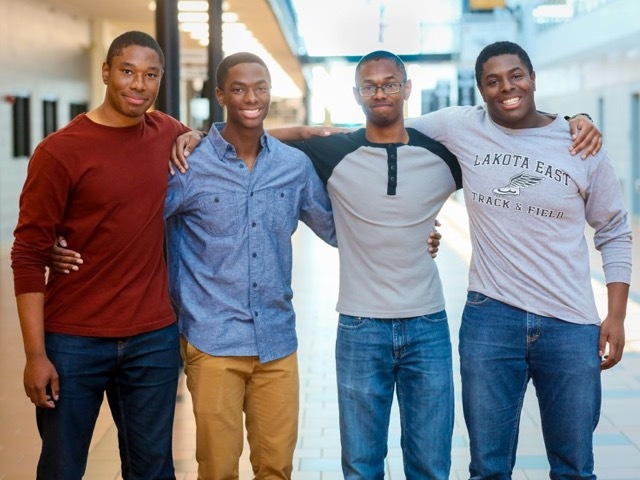 These recent Lakota High School graduates began making headlines in April when they were accepted to Yale, Harvard as well as several other prestigious universities. National news outlets followed the quadruplets as they grappled with the exciting/nerve-racking decision to choose a college. For a short time, Aaron Wade said Stanford was his leading choice. But Nick, Nigel and Zachary Wade all said Yale was their top school. In the end, the four went off to Yale together. 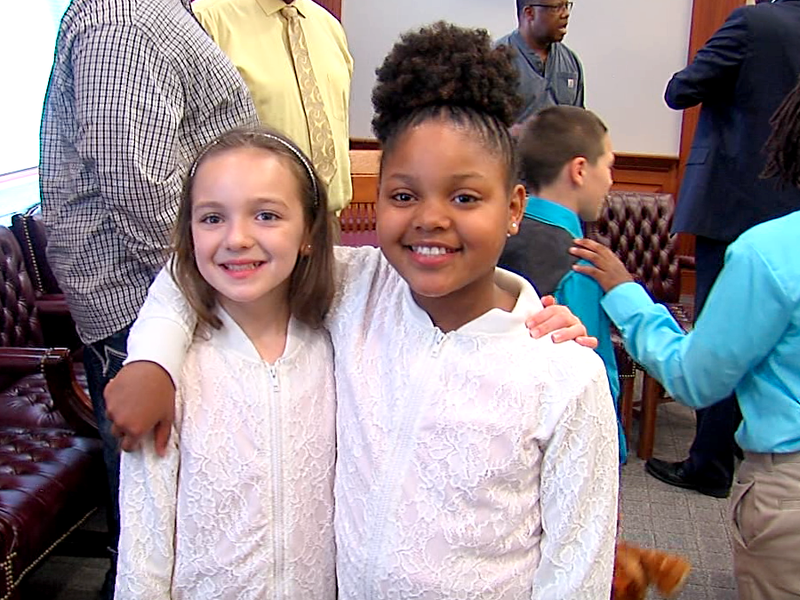 "We're grateful to our parents and the Lakota school district because it’s really something we couldn’t have done on our own without all the support we have had through our lives. It has been awesome," Nick said. Josh Bailey is one of only a small fraction of athletes who got the chance to play football in college. There's something else about Bailey that makes him unique: He's autistic. Bailey is a 6-foot-6, 275-pound offensive tackle for the Mount St. Joseph Lions. He's originally from White Lake, Michigan, and he's in his third year on campus. Bailey, a sports management major, talked to Ken Broo in August ahead of the team's season opener. While talking to Broo, Bailey said he was "living the dream." "I have a chance to actually do something here at the Mount," he said. Bailey isn't shy about autism, either. 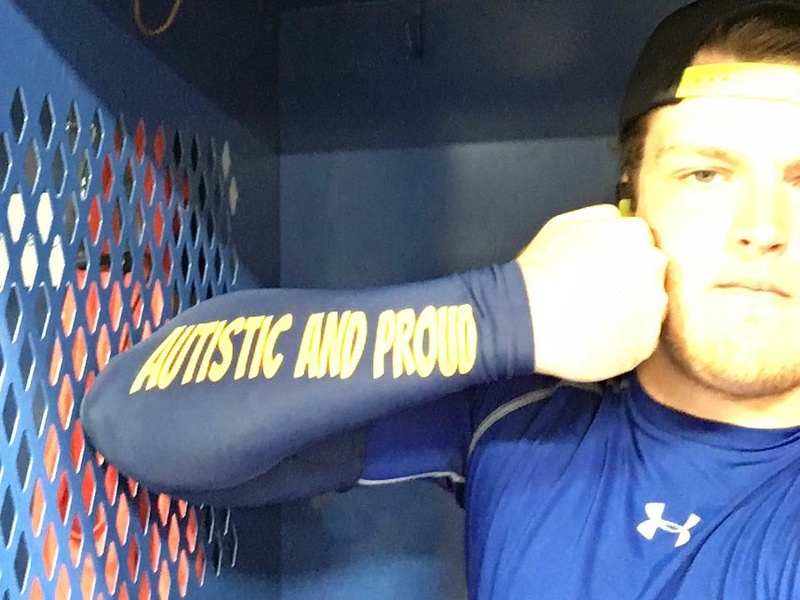 In one photo on his Twitter feed, he wears an undershirt that says "autistic and proud" on the sleeve. “My ultimate dream is to show the world that kids with autism can do extraordinary things and to inspire people with autism to achieve their dreams,” Bailey said . It's a win-win for two groups in our community who need assistance. Cincinnati-based Nehemiah Manufacturing has always helped people looking for a fresh start. The "second-chance employer" hires people who have "spotty work history or no work history...or a blemished record," according to its website . "It could be drugs or alcohol, prison time, felonies," operations manager Michael Taylor said. "Everybody out here is working through those hurdles. …(We're) giving people an opportunity to get out of the situation they came to us in." One of Nehemiah's newest partnerships is with the Baby Box Company. "Baby Boxes" are made to help prevent sleep-related infant deaths. The boxes come with a firm mattress, fitted sheet and educational materials. Now, parents in Ohio who are unable to afford a crib will be able to keep their babies safe while they sleep. Concerned citizens called the police when they saw heads bobbing in the Great Miami River on Nov. 8. The river had just flooded after a weekend of record rainfall. Emergency crews did eventually arrive to the river, only to find Shannon Thomas and Josh Wright having the time of their lives. 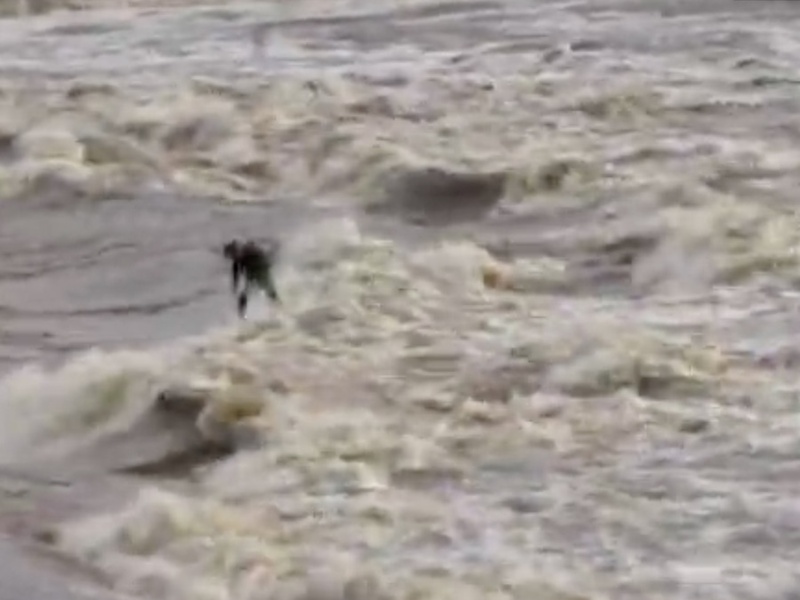 While the rest of us were cursing flooded roads on our commutes to work, this duo was surfing in the Great Miami River . “I had a blast. It was probably one of the best surfs I’ve had in a while,” Thomas said. These two obviously took their lives into their own hands, and this activity is not something others should mimic. It's something you likely took for granted as a kid. But these three University of Cincinnati undergrads -- Jamie Maier, Macy Meyer and Andy Meyer -- realized that children's toys and storybooks can make a huge difference in comforting children experiencing homelessness. Handmade "sidekicks " were inspired by the DAAP students' own childhood toys. But the children who will receive the toys also get a hand in its design. Essentially, the children draw an initial design for the toy, pick the fabric for the toy and help develop a story about their toy. Then, the students use their design expertise to illustrate and create the toys. “There’s a lot of research that suggests that these items that you have when you’re a child, they actually do have some power over your feelings of comfort and stability," said Mike Moroski, executive director of Upspring, a nonprofit that works with children experiencing homelessness. The students said they know they won't solve the problem of homelessness, but this is a way they can help ease the pain that comes along with the problem. “If you can love the stuffed animal and take care of it, you can love yourself a little bit more and take care of yourself a little bit more,” Maier said. Hair cuts might induce anxiety for some. But for children -- and adults -- with autism, it can be truly terrifying. That's why Sarah Beiser Eaton's patience and kindness is so important for Patrick Boyne and his mom, Amy. Eaton works at Kid's Kutz in Hyde Park. 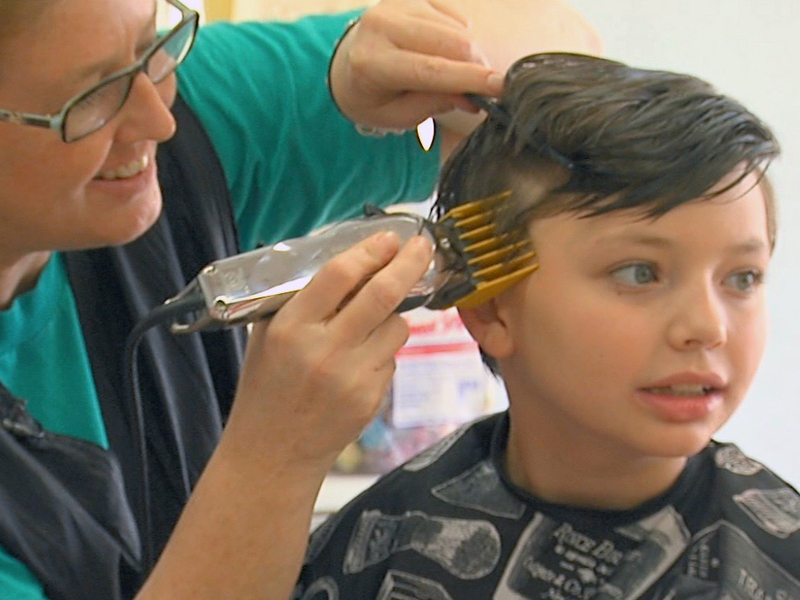 She's cut 10-year-old Patrick's hair since he was two. Patrick gets to sit in his favorite frog seat and control the television. Eaton asks before she can put the cape on Patrick and before she sprays his head with a mist of water. I'm a firm believer in "adopt, don't shop." 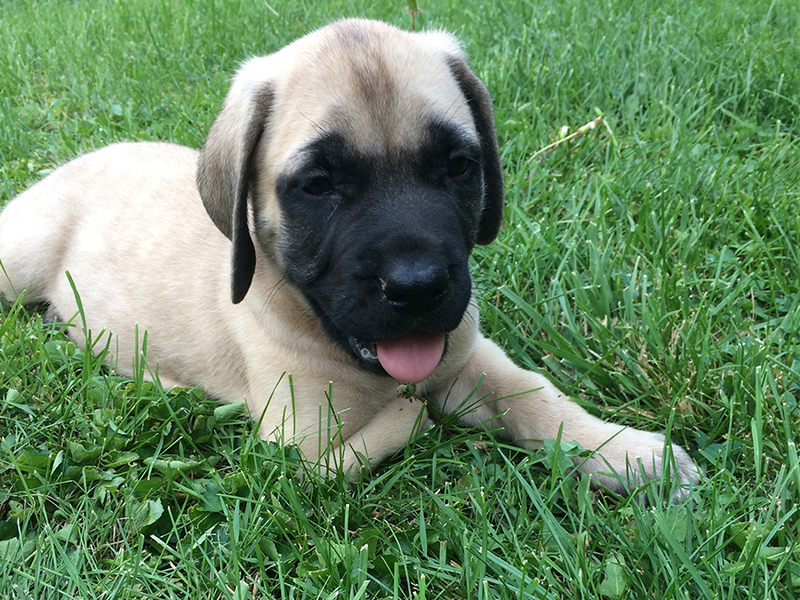 But Northside couple Patrick and Brandy Walkenhorst knew that a shelter or rescue may not be the best place for Moose, a 15-pound English Mastiff puppy born without his right front leg. The couple took Moose in and provided him with love and attention as he steadily gained five pounds per week for about a year. 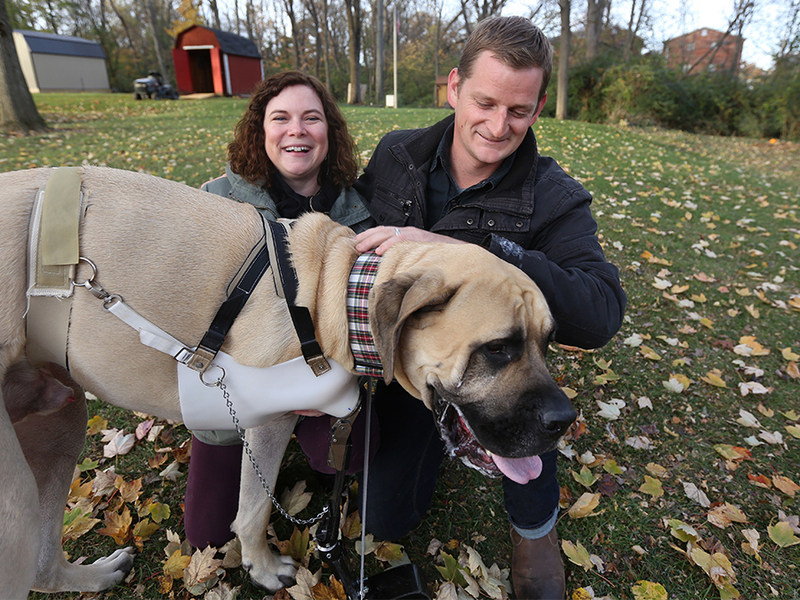 Moose's size made hobbling around on three legs too difficult; he also couldn't fit properly in a wheelchair for dogs. WCPO photojournalist Emily Maxwell chronicled Moose's journey through doggie swim therapy and his family's quest for a prosthetic leg. Ryan Spill, a prosthetist at the R.J. Rosenberg Orthopedics Lab, and his team were able to create an artificial limb for Moose. The project was pro bono. The Sanders family of Forest Park grew from seven to 13 overnight. We first told you the story of Christopher and Christina Sanders in April. 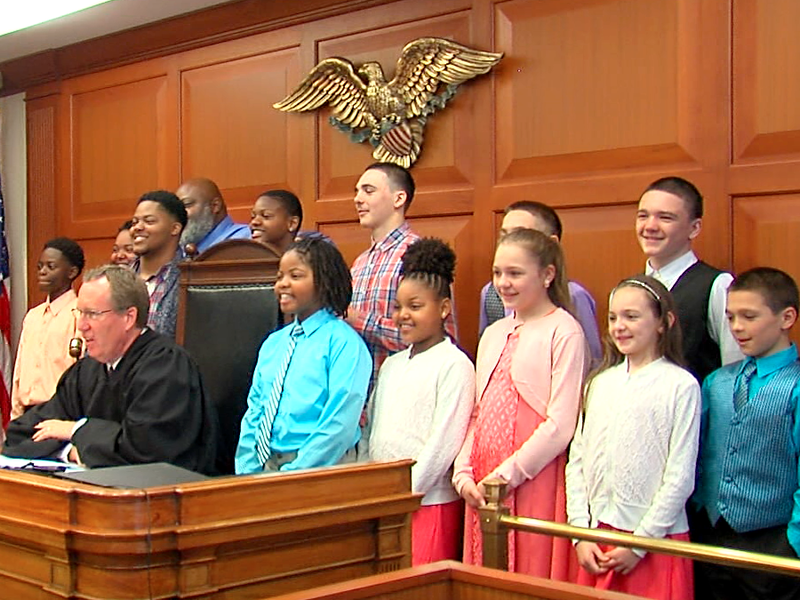 These foster parents already had five biological children when they decided to adopt six children -- all siblings who didn't want to be separated. "We were having a rough life (before)," 13-year-old Caleb said in the Hamilton County Adoption Court. "But we're in a safe place now." In a time where racial strife burdened the country, it was heartwarming to see the Sanders -- a black family -- embrace their six new white siblings with such kindness. "She's the sweetest sister ever and I love her so much," Caitlin Sanders said of her "new sister" Chloe. WCPO reporter Lisa Smith stayed on this story for several months -- even checking in with the family ahead of their first Thanksgiving as a 13-person family . "I can't ask for a better Thanksgiving," Sanders said. "This is more than what I thought it would be. This is absolutely amazing. I'm just so happy to be their mom. I love it." The New York Times , NPR and BuzzFeed all agree -- Fiona is one of the best things that happened in 2017. I'll give more credit where it's due: Baby rhino Kendi is also super cute, as are the tiger cubs and baby red panda. But with a story like Fiona's you can't help but root for the little girl. She fought for her life -- and it was a hard-fought battle. 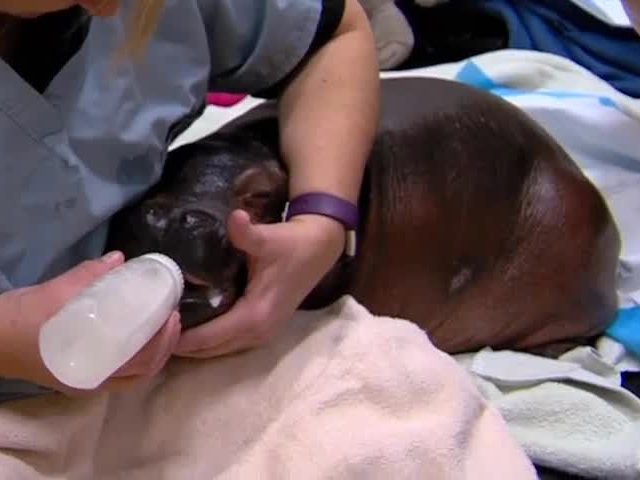 As you probably already know, Fiona was born six weeks early; she weighed only 29 pounds at birth, whereas healthy baby hippos should weigh between 55 and 120 pounds at birth. She was underweight for the first half-year of her life. She needed IVs to fight dehydration , she had a feeding tube while she teethed and her dedicated team of caretakers bottlefed her hippo milk. The zoo admitted, in hindsight, that Fiona's health was touch-and-go in her early weeks of life. Zoo Director Thane Maynard said it was "all hands on deck with Fiona." Today, Fiona is making up for her fragile start to life by being the sassiest thing in Cincinnati -- and on the internet. The zoo tried to move away from daily Fiona updates multiple times, but zoo spokeswoman Michelle Curley said people just wouldn't tolerate anything less than daily updates. One message Curley shared with us, from Greg in Houston, pleaded "Where is today's Fiona update? Me and a couple thousand followers need our fix earlier in the day. We worry when there is no news given that she's still not outta the woods. Help…." As time went by, Fiona grew stronger and her personality started to show. Her silliness was even more endearing given her rough start to life. And we'll admit, we're biased. We, at WCPO, love Fiona. Digital reporter Lucy May even rewrote the lyrics to "My Sharona " to reflect her adoration for the baby hippo. 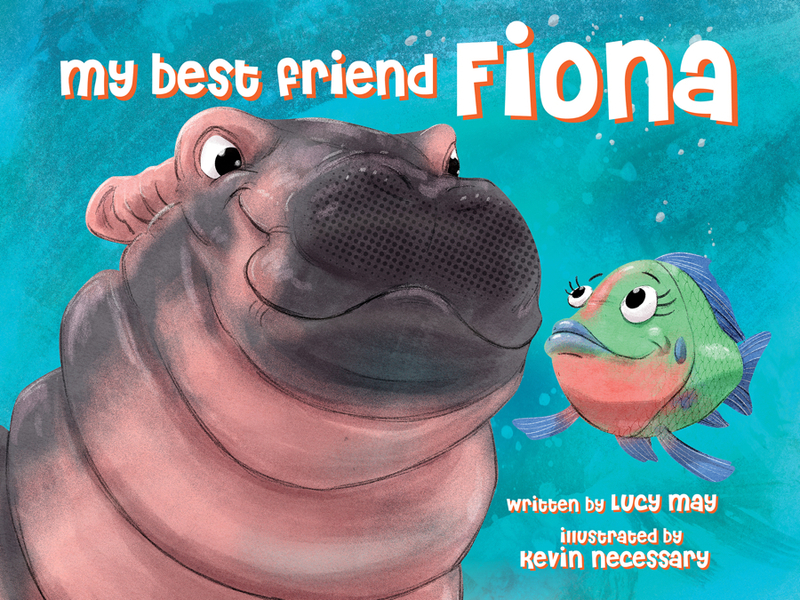 May and cartoonist Kevin Necessary also published a children's book about Fiona. The book's first order sold out in 10 hours; it was bought by Fiona-lovers on three continents, in 12 countries and in 49 U.S. states and Washington D.C.
Now, Fiona lives the life of a "normal" famous baby hippo . Zoogoers can see her showing off in hippo cove -- swimming , jumping , farting , eating , biting , annoying her parents and kissing her adoring fans through the glass . She has a TV show , she's a meme -- a couple got engaged in front of her enclosure, for God's sake. Even though it's winter and on most days it's too cold for the gray princess to be outside, zoo visitors are still abuzz about Fiona. I think they will be for a long time. I mean, how can you not become obsessed. JUST LOOK AT THOSE NECK ROLLS!